It’s report card season and, based on this year, we may need to grade on a curve. We’re 20 games into the 2018-19 hoops season, so it feels like a good time to dish out some grades. 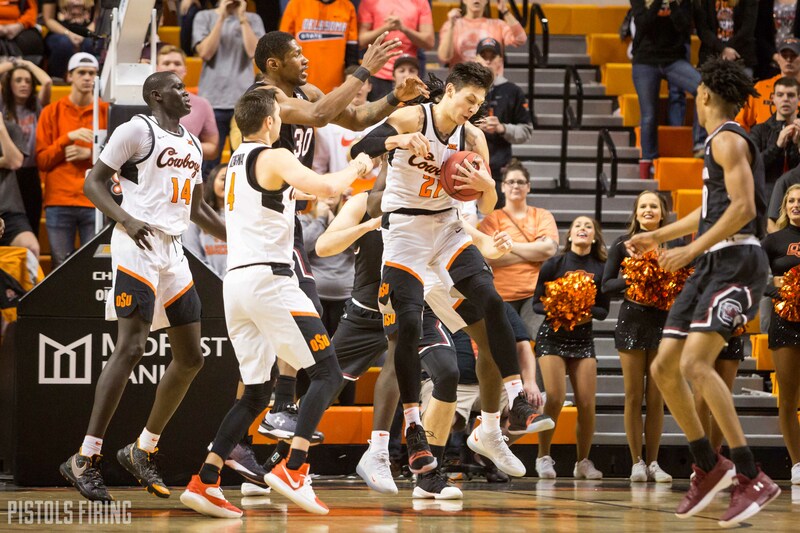 This season of Oklahoma State basketball doesn’t look as if it will be remembered as one of the greats, but in what can almost now 100 percent be seen as a rebuilding year, progress is something you’d like to see. OSU has scored 1,391 points this season, and 730 of those points have come from team captains Thomas Dziagwa, Cameron McGriff and Lindy Waters. That’s about 52 percent. Of players who are still on the team, the three juniors have scored about 64 percent of the 1,138. None of the three have been thought of as primary scorers before this season, deferring to players such as Jawun Evans, Phil Forte, Jeffrey Carroll and Kendall Smith, but the group has been a rock for the Cowboys’ young core this season. Through the Pokes’ first 20, the captains have averaged a combined 96 minutes a game to go with a combined 37 points. One knock on the group is that they maybe haven’t been as aggressive as needed at times on the offensive end, but that’s starting to change. On Jan. 22, Waters averaged only eight field-goal attempts a game, but in OSU’s past two, he has put up 13 shots in each. Dziagwa is a bit more limited in the type of looks he has gotten, but he has put up 176 attempts this season, the same as Waters, and McGriff has a team-high 216 field-goal attempts, which averages out to about 11 a game. Apart from a three-game stretch early in the season, where Yor Anei started on the bench, freshmen Anei and Isaac Likekele have started every game for the Cowboys this year. I think it’s safe to say a Jan. 29 version of Likekele and Anei would dominate a fall version of Likekele and Anei in a game of two-on-two. The two came to OSU a bit raw but with almost limitless potential. At 6 foot 10, Anei has incredibly long arms and a knack for defense, and at 6-4, Likekele is the Cowboys top ball-handler, and he too has long arms. 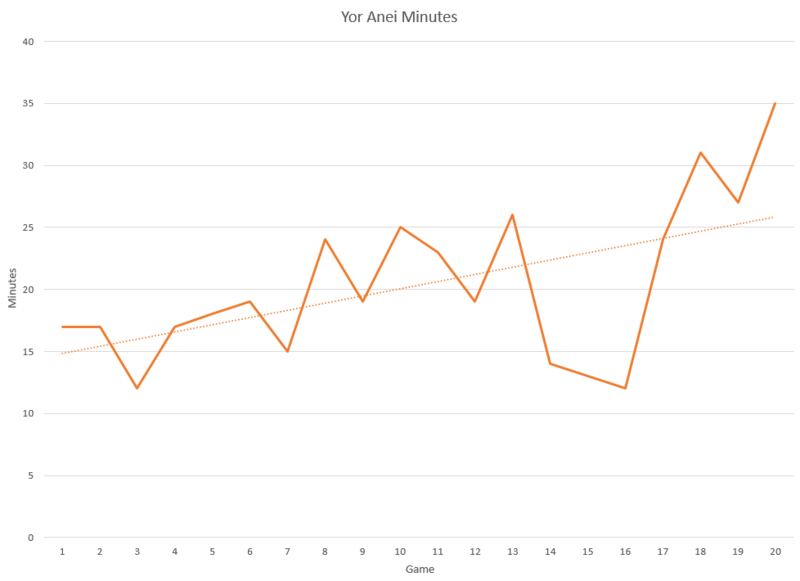 Anei struggled early with fouling, and his then inability to stay out of foul trouble was a major point of concern when the Cowboys’ roster was cut to nine players, but since that cut, Anei has played 31 minutes a game and hasn’t picked up more than three fouls in a contest. That has led Anei to be more of a menace on the glass, as he has had his first two double-digit rebounding games in OSU’s past three games. Likekele has had some off games this year, but he has also had brilliant ones, most notably his takeover in Morgantown. Likekele scored a career-high 23 points and had nine boards in West Virginia. A lot of times good games for OSU are uncoincidentally good games for Likekele. It’s not even the bench’s fault. When there are only four guys one there (one a walk-on, one a former walk-on who broke his foot and now there’s a former manager) struggles are going to come. OSU has gotten 129 points out of its current bench players (97 from Curtis Jones, 23 from Duncan Demuth and 9 from Luke Major). Saturday was a big win for OSU, but only 9 points came off the bench. It’s something the Cowboys just have to deal with in the meantime, but a good thing for them is the Pokes will lose nobody to graduation and already have a solid, four-man recruiting class coming in. A 9-11 record isn’t anything to be stoked about, but let’s look at OSU’s losses. Nebraska Was practically a road game in Sioux Falls. Nebraska is 13-7. OSU hoops has high expectations, and that’s a good thing, but with a team as young as OSU was to start the year and now with only two scholarship guys available on the bench this schedule wasn’t ever going to be easy. The Cowboys undoubtedly should’ve beaten Charlotte, probably should’ve beaten Tulsa and it would’ve been nicer had they split Nebraska and Minnesota, so they don’t get off free, but I’m not sure this was ever a team and a schedule that had OSU sitting had 15-5 through 20 games.